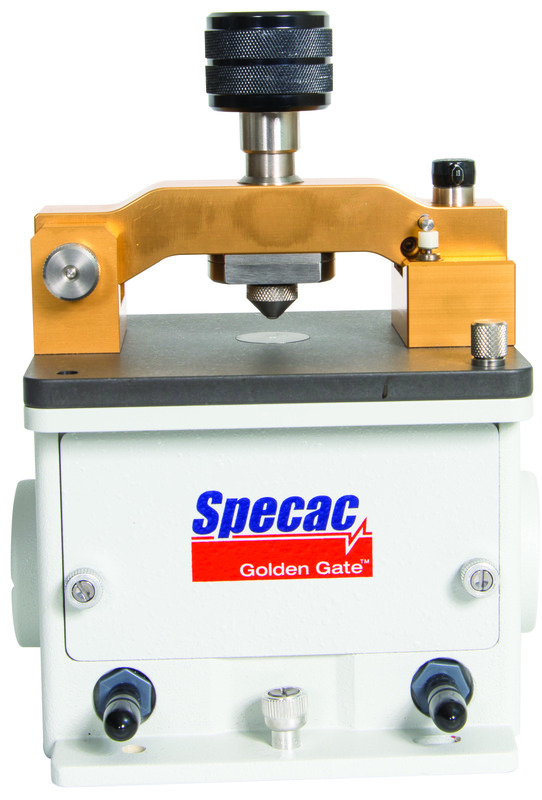 These products include ATR, specular reflectance, diffuse reflectance, liquid transmission and gas transmission cells, as well as wire grid polarisers, bench-top hydraulic presses, KBr pellet presses, XRF pellet presses, thin film-making kits and evacuable pellet dies. A versatile ATR-FTIR spectrometer accessory that can be configured to operate under high/low temperatures, analyze fluids at super-critical pressures and more. 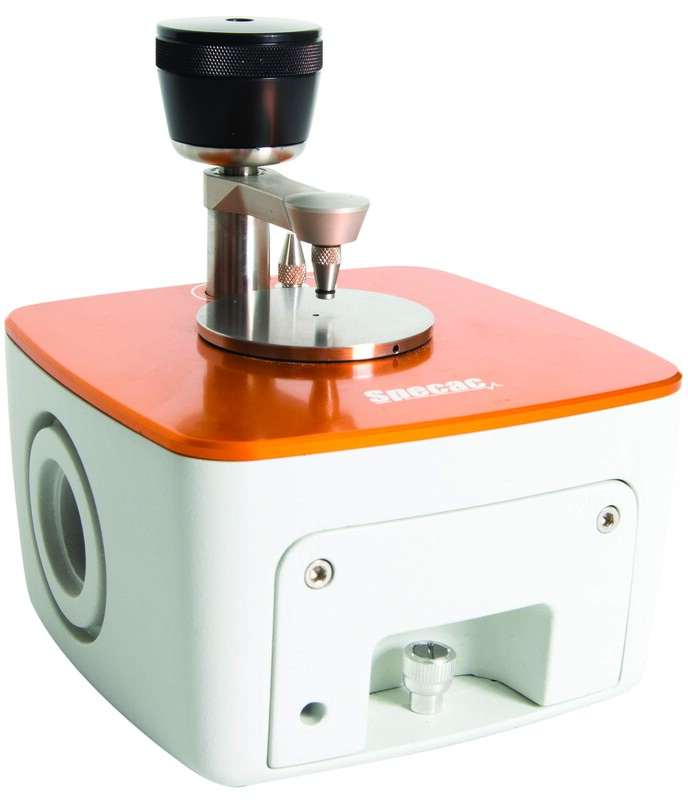 A rugged, reliable and accurate ATR analysis accessory, capable of sampling liquids, solids, pastes and powders, with no/minimal sample preparation. 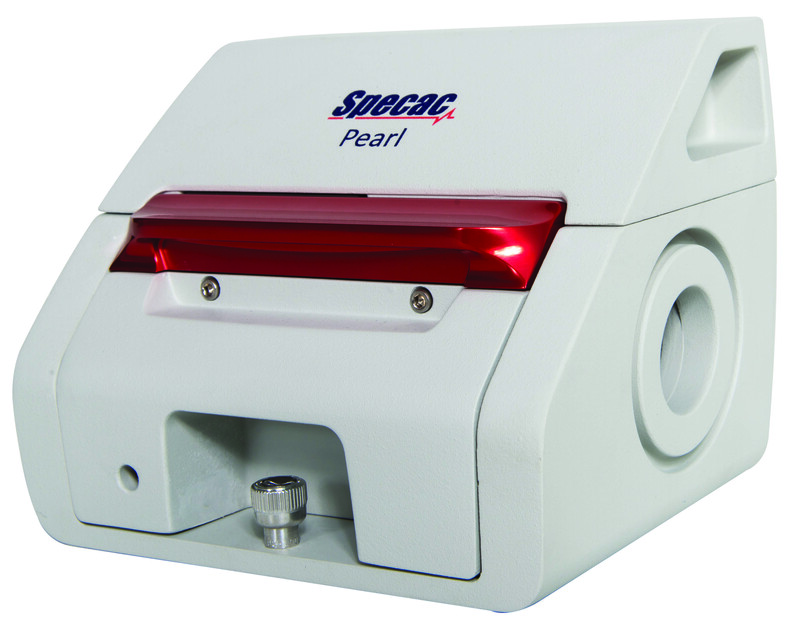 The Pearl is a liquid analysis accessory that is quicker and easier to use than traditional FTIR liquid cells. It allows for the transmission analysis of various liquids, via either CaF2 or ZnSe windows. 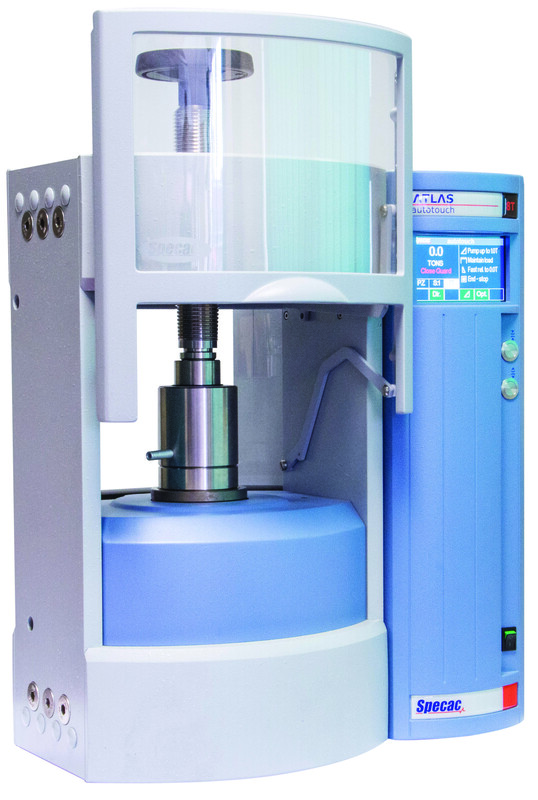 A powerful, reliable and low-maintenance hydraulic press, ideal as a bench-top laboratory press, offering loads of 15/25 tonnes (lower conversion kits available). 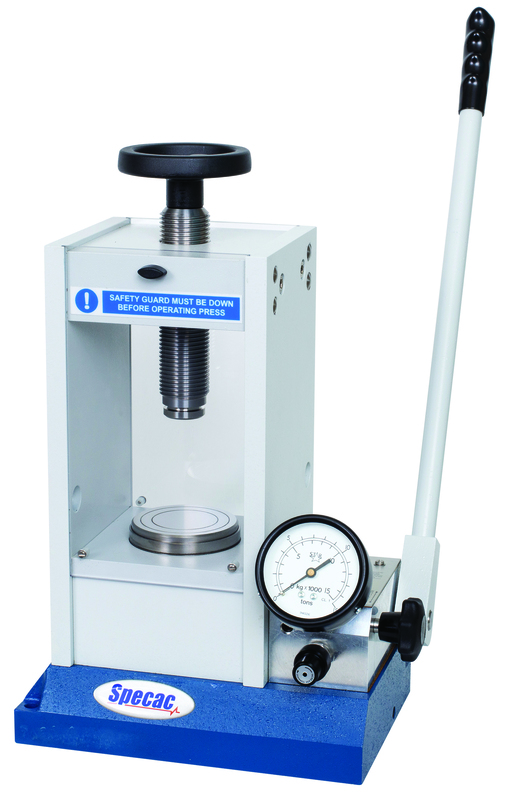 The Autotouch is a highly powerful and simple-to-use hydraulic lab press. Operating at 8, 15, 25 or 40 tonnes, the press includes an LED touchscreen with simple user symbols and multilingual options, allowing users to quickly learn to programme loads.